The European Union Film Festival (EUFF) is back for the 17th year and this year they have returned to selected Golden Screen Cinemas with critical-acclaimed movies from across Europe like Living is Easy with Eyes Closed (Spain), Have You Ever Been on the Moon (Italy), Dreams of a life (UK), Children of Glory (Hungary) and many more. 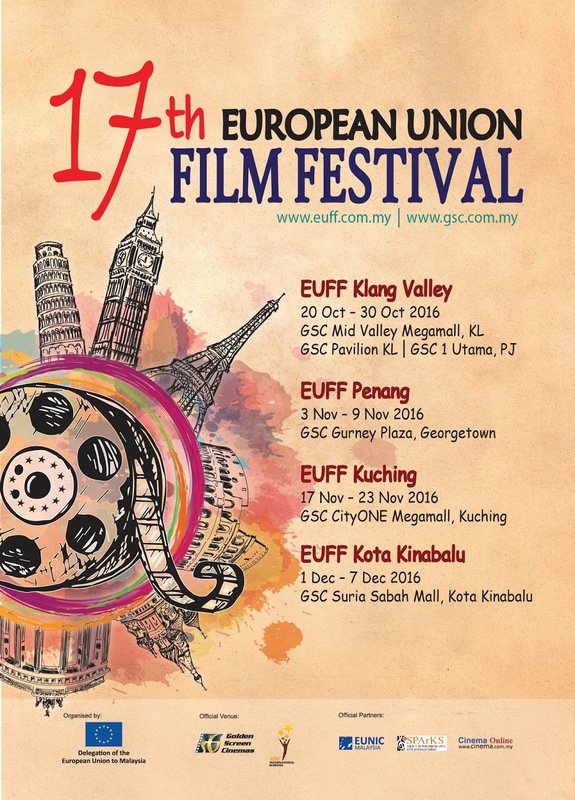 The European Union Film Festival will take place at 4 selected GSC outlets, which is Klang Valley (20 - 30 Oct), Georgetown (3 - 9 Nov), Kuching (17 - 23 Nov) and Kota Kinabalu (1 - 7 Dec). So if you are a European Film enthusiast, don't forget to mark your calendar to catch these 21 award-winning movies from 19 European counties.